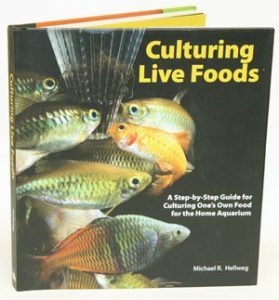 A step by step guide for culturing one’s own food for the home aquarium. A variety of high-quality foods helps improve the overall health of your fish and live foods make up an important part of that assortment. Includes various single and multi celled organisms, plants, crustaceans, mollusks, and worms – over 80 individual food items in all.